Employee & Customer Experience How do I assess my competition? How do I assess my competition? One of the things that businesses often get wrong is their own assessment of their competitors. Grant Leboff: One of the things that strikes me when I go into businesses is, how they get their assessment of competitors completely wrong. You go in there to do marketing and you speak to them and you have a look at the competition and the things they’ve told you… you just think, well, how did you not know that? So how do companies start to bridge that gap, so they understand their strengths, their competitors’ strengths and perhaps, the differentials and where they, maybe, have some advantage? Susannah: I think it’s really important and I think the strange thing is this, as you say, the assessment of competitors always tends to be from a little bit outside and what they’ve read on the website. I always say to people, just go and use them. If you can, buy something or use something, or do the customer experience from your competitor. What better way to get a fully understanding matrix as to how it actually works? We always, when we to carry out a Dice Matrix pull in all the big data. So we look at what competitive averages are, best practice, mentor lines and all that sort of thing, so that we can measure where we should be and how it should go and how you should be performing as a business. But actually, I think you have to be really careful, because if you’ve got a competitor that’s doing something – it doesn’t necessarily mean it’s working – and there’s so many times that you can just introduce a new product and then all the competitors introduced that product. ‘We should have that’, but actually what was the research behind it? What were the facts behind it? What were they doing? And I think some of that is taking a step back. What’s your sector, where is that sector moving to, what do the customers in that sector want and what do your employees get asked for by customers and why have you got attrition or have you got attrition? Actually, are you losing customers and are they not coming back and why are they going, what are they doing? Because I think if you could start to understand that, you can map out your customer journey so much better to be able to deliver what they want rather than assumption, and I think a great deal of competitor analysis is sadly just down to assumption. Susannah: I think interestingly, having a competitor is good, a; because it keeps you on your toes and it gives you something to benchmark against, but it also shows there’s a market out there. Obviously people are going ‘nobody else does this’ and you think, well that’s great if it R E A L L Y is cutting edge and trailblazing, but if it’s not, there’s probably a reason. So I’ve worked with lots of apprentices coming up and they always say ‘I’ve done the research’ and you say well how have you done it, and they say, ‘well I’ve Googled it.’ Excellent, have you actually spoken to anybody about? ‘Well no’. Well if it were that easy, we’d probably all be billionaires because we just Google it and there, the results would come. So I think it’s that going out, engaging with customers, finding out what really they need and they want and then; valuing your business as a brand, what are the things that you stand for? One of my favourite things was when Richard Branson bought the airline and they said he knew he was never going to be the only person to own an airline and he knew it wasn’t going to make a lot of money and everybody told him not to, but the one thing he wanted to do was do it the best he could and as a result, they’ve done very well out of it. I think if you hold the bits… What do you want to do, who’s going to buy it, what can you charge for it and can you be the best at delivering that? And if you can’t and you’re constantly chasing your competitor to step into a market you are not in, is there value in doing that? Or do you look to go the other way and do something a little bit different? And I think competitor analysis, for me, is about understanding what’s available, understanding what’s out there, but trying to do it better, smarter, faster, quicker, more intelligently. Susannah is the leading industry expert in Strategic selling through fact based business modelling. Her speciality is delivering growth through real time business insight. 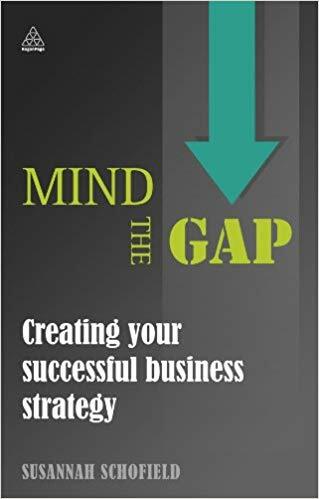 Her expertise in these fields led to the commissioning of her published book, ‘Mind the Gap – creating successful business strategy’. Do you really know why customers stop buying from you? Do they send you an email telling you that they are going elsewhere and explain why? In this lesson; Susannah Schofield, discusses ways in which a company can ensure that it truly understands why people buy from it. How can I grow my business? All companies want to retain their customers and grow their customer base, so how can they use 'insight' to help them on that journey? 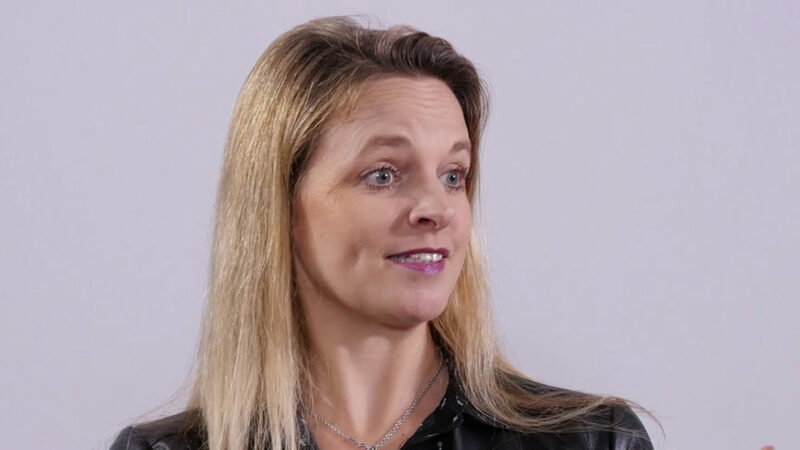 In this lesson; Susannah Schofield explains that the clues are found in the looking at the right data and feedback, not necessarily, the loudest voice in the room. What do I do with my data? In this lesson; Susannah Schofield, author of ‘Mind the Gap’, discusses the importance of companies knowing what they need to measure and why. How do I get the best from my employees? In order for companies to deliver an excellent product or service, they need to make sure that the employees are aligned with the brand In this lesson; Susannah Schofield discusses how company’s must take employees into consideration and the warning signs for when things can go wrong. One of the challenges that a lot of businesses have is aligning what they provide, with the perceptions that their customers actually have. In this lesson, Susannah Schofield, discusses the importance in having the two aligned. How do I meet customer expectations?